Driving along Taeheran-no in Gangnam-gu, Seoul… been here a couple of times with my husband when he had to manage their company booths… also saw Lee Hyori! 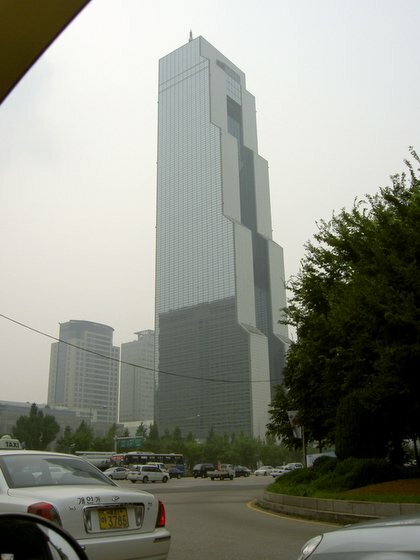 The COEX Seoul, the state-of-the-art complex for international conferences, is located in Samsung-dong, Gangnam-gu. The COEX Seoul holds 150 specialized exhibitions and 15,000 conventions/events a year. The center also plays a role in promoting international trade by connecting international buyers with local businesses. Read more from the Seoul City website. Previous Post:Filipino signs of wit! you saw lee hyori at coex? ako rin eh thats where i saw her…mahilig syang mag shopping sa mall ng coex? or does she frequently have a meal at the intercon hotel? hmmmm…nagandahan ka ba sa kanya? Glad I stumbled over your blog. There is also a mall at COEX, right? Can u please suggest other shopping areas for clothes, accessories, etc.? Yun cheap lang ha. hehehe. And places to eat na din. Im planning to go to Seoul by the end of the month. Thanks in advance! Do you know where I could find pictures of the lobby area? I have an interest in commercial mailing systems around the world. Any help in finding pictures of building mailboxes would be appreciated.